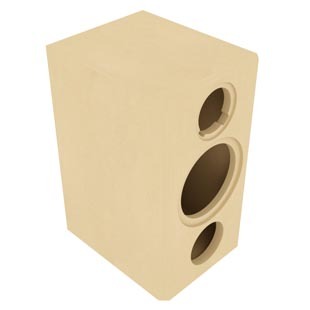 Puri MK2 is a two way bassreflex bookshelf speaker with Audaphon drivers of high quality. In the Puri MK2 the Audaphon MB 18-8 is used. It has a stable die-cast alu basket and a linear frequency response. 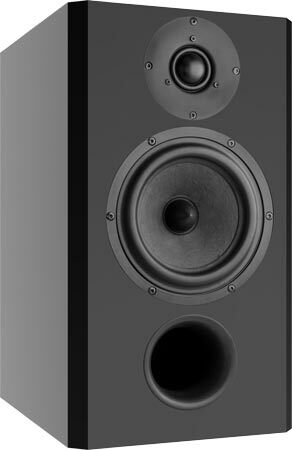 In the upper frequency range the tweeter Audaphon TWS 30-4 with wide band frequency response is working, with stable alu frontplate and rear chamber. Puri MK2 has been developed by Dennis Frank and Daniel Gattig. The crossover consists of a second order high-pass filter (12 dB per octave slope) for the tweeter. 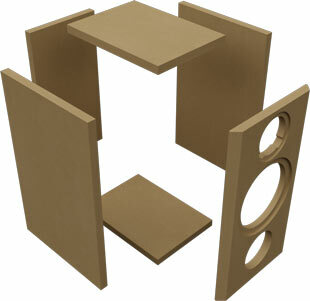 The woofer is connected to a second order low-pass filter with a series-resonant-circuit to smooth the frequency response at 1000 Hz. 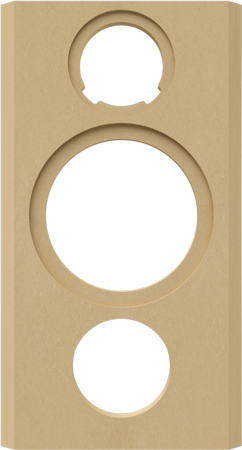 Between 50 Hz and 20000 Hz, the frequency response of this loudspeaker is linear on axis. The decay spectrum is nearly perfect. At low volume, i.e. 85 dB at 1 m, the nonlinear distortions are lower than 1% above 300 Hz and does not exceed 1% at 95 dB at 1 m .
The high-end kit is delivered with backlack air coils in key areas of the crossover for minimizing microphonic effects. - The current flow through the coil creates a magnetic field which sets the reel of wire in motion. This motion induces a voltage in the coil which adds itself to the signal. The stiffer the reel of wire is, the less the signal will be altered. All capacitors are MKP and for the tweeter working ESA 630 V.